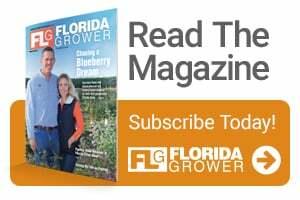 Finally, Florida citrus growers have something to cheer about thanks to a new tax law designed to help the state’s besieged industry bounce back from the one-two punch of HLB and Hurricane Irma. Authored by state Congressman Vern Buchanan, the Emergency Citrus Disease Response Act (included in the recently-signed tax cut bill) will provide immediate relief in helping farmers replace damaged trees, allowing a 100% deduction in the first year instead of depreciating the cost over 14 years. Under previous tax law, growers were allowed an immediate deduction for the cost of replanting diseased trees, but the farmer had to bear the full cost. Meanwhile, Buchanan continues to work to provide disaster relief funding to orange growers impacted by Hurricane Irma. A disaster relief spending bill passed the House last month but stalled in the Senate. The funding measure is expected to be back on the agenda this month. In response to the newly passed legislation, several produce industry advocates expressed their appreciation.